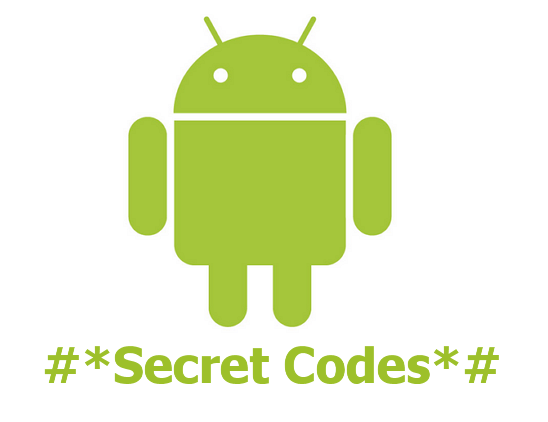 Below is the list of Android Secret Codes, to show several Android Device Information's. *#*#4636#*#* Displaying Phone Information, Battery, Battery Usage, Usage Statistics. *#*#7780#*#* Delete / reset the Data Factory. Removing Google Account stored in Android, System and Application Data and Settings and Applications in Download. But does not remove the SD Card and Application files that exist on your Android phone. When using this code will appear PopUp to make sure you delete or not. *2767*3855# This code is used to Format default setting. Remove everything and reinstall the firmware android phone. Can not be Cancel, so do not use this code. *#*#34971539#*#* Displays Camera information. Displaying Camera Firmware Update menu in Figure, in SD, Camera Firmware data, and firmware updates. Do not select the first option because it will ruin your android Camera. *#*#7594#*#* This code change the End Call/Power on your Android phone. If retained its button will display the Silent Mode option, Airplane Mode and Power Off. *#*#*255*663 282 273 283*#*#* File copy this code opens a screen where you can backup your media files. *#*#197328640#*#* This code is used to log into Service mode. To change the Service Mode settings such as WLAN, GPS and Bluetooth. *#*#232339#*#* or *#*#526#*#* or *#*#528#*#* To test WLAN connect, use the Menu button to start the test. *#*#232338#*#* Displays the MAC address of your WiFi Android. *#*#232337#*# Displays the Bluetooth address of your Android. *#*#8255#*#* Showing GTalk Service Monitor. *#*#4986*2650468#*#* PDA, Phone, H/W, RFCallDate. No Comment to " Android Hacking : Hidden Secret Codes of Android Device "